Now onto the good stuff . . .
Out of 548 entries, the winner of the GloDoodle contest is . . .
Out of 524 entries, the winner of the Delicae Gourmet contest is . . . This is what I would buy -Lavender Wine MustardArtichoke Pasta SaucePomegranate Poppyseed Salad DressingI love to try different things. Out of 495 entries, the winner of the Yoplait Delights contest is . . .
Out of 378 entries, the two winners of the Yoplait Whips! contest are . 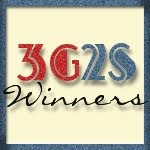 . .
As always, a big thank you to all who took the time to enter my contests. I will be sending out an official email notification to the contest wiiners. Please rewpond within 48 hours to claim your prize.